What does a CTU do? You are here: Home / Blog layout option 1 / Blog / What does a CTU do? Academics and researchers are absolutely fantastic when it comes to science. But when it comes to running clinical trials and all the regulations surrounding them, they need a little bit of help moving forward. That’s where a Clinical Trials Unit, or CTU, comes in. Today we’re looking at the role of the CTU involved in MCDS-Therapy and what they’ve done to help get our clinical trial up and running. The core role of a CTU is to help academics, researchers and clinicians to conduct their clinical trials. This support starts very early on – helping scientists and doctors to write funding proposals – and lasts until the very end – analysing data and disseminating results. The CTU involved in MCDS-Therapy is based at Newcastle University, where our Coordinator and Lead Clinician are also situated. For each trial they’re involved in, the Unit brings together a team which usually comprises of a Senior Trial Manager, multiple Trial Managers, Data Managers, Statisticians, Clinical Trial Pharmacists and in some cases Health Economists, Patient Representatives and Qualitative Researchers. Working together with the clinical study team, they have all the scientific and non-scientific expertise needed to carry out a full clinical trial. So what exactly does this expert team do? First of all, the team will apply for funding. The CTU will help the team put together a strong case for funding by bringing their knowledge of adhering to clinical trial and ethical regulations and recruitment experience. Health Research Authority (HRA/Research Ethics Service) – the HRA assesses the governance and legal compliance of trials with the Research Ethics Committees checking each trial will be conducted in an ethical manner. For instance, they want to ensure patients aren’t going to be burdened by excessive tests, like too many blood samples or x-rays. MHRA (Medicines and Healthcare products Regulatory Agency) – this is a government body which checks that medicinal products, such as drugs and devices, are safe to use. For instance, they ask how much medicine you will give to patients, how will you monitor their safety, and how will you manage any negative reactions. Alongside liaising with regulators, the CTU has to design a database to collect information about participants and how they are responding to the treatment throughout the trial. The database has to be ready for the start of the trial, so it is tested and peer reviewed by the trial team, clinicians and research nurses. The CTU also carries out a Site Initiation Visit at each of their trial sites. This involves training all the healthcare professionals at the site on how to conduct the trial and how they assess patients and enter data into the database. Relatedly, the CTU also has to write a strategy on how they will manage and monitor sites throughout the trial. ‘Oversight Committees’ to independently check the CTU and the trial team are acting responsibly/doing things right (proves to funders and regulators that people are doing it right). After all of this preparation (and much more besides! ), the CTU has to get the ‘Green Light’ from their Sponsor. A sponsor is the organisation that takes on responsibility for the initiation, management and financing of the trial. Our Sponsor is NUTH: Newcastle-upon-Tyne Hospitals NHS Foundation Trust. Once CTU has ticked off all the things that need to be in place before the trial starts, the Sponsor then gives the green light to go ahead. Following set-up, the CTU supports all aspects of trial delivery. Three key responsibilities are supporting patient recruitment, monitoring data collection and monitoring patient safety. The CTU regularly contacts every site to check they are entering data correctly into the database; this is essential because, without accurate data, we won’t be able to understand the effect of the treatment on participants’ bodies. They also ensure all sites are following ethical and safety guidance and respond to reports of any ‘adverse events’ in participants. The CTU also organises regular TMG (Trial Management Group) teleconferences to discuss important trial issues with trial team members and ensure the trial is being run as planned. In the UK, annual reports also have to be sent to the REC and MHRA to update on progress and share safety information and adverse events. At the end of the trial, the CTU ‘cleans’ the data. This makes sure the data is of a high enough quality that the statisticians can analyse it. Following statistical analysis, the CTU reports to all the funders, partners, regulators and other stakeholders, then supports the wider dissemination of the results. As this snapshot shows, the CTU has their work cut out for them when it comes to clinical trials. No two trials are the same, meaning the CTU can’t simply carbon copy the documentation, procedures and strategies from one trial to another. Every trial has to go through this rigorous process. 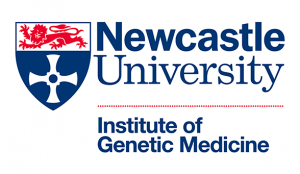 As an international trial for a rare disease, MCDS-Therapy has kept the Newcastle University CTU on its toes. Each of the overseas trial sites has different regulatory bodies and ethical requirements which need to be considered. And because MCDS is ultra-rare, there are additional considerations that have to be made around the management of patient data. Being rare means there are also challenges around recruitment as the population of patients is much smaller than other conditions. As MCDS-Therapy is an international trial the CTU has built a very close relationship with the trial Sponsor, NUTH, to make sure that all responsibilities and risks are managed effectively, and the trial sets a good precedent. The CTU, however, don’t see these as challenges! They instead relish in the extra opportunities and insight MCDS-Therapy is offering them. Having put all the hard work into the preparation, they can’t wait to get the get the trial running. The MCDS-Therapy consortium would like to say a huge thank you to the Newcastle University CTU for their hard work, motivation and patience in getting the trial ready. Additional thanks goes to Sonya Carnell, Senior Trial Manager, for her help writing this blog. 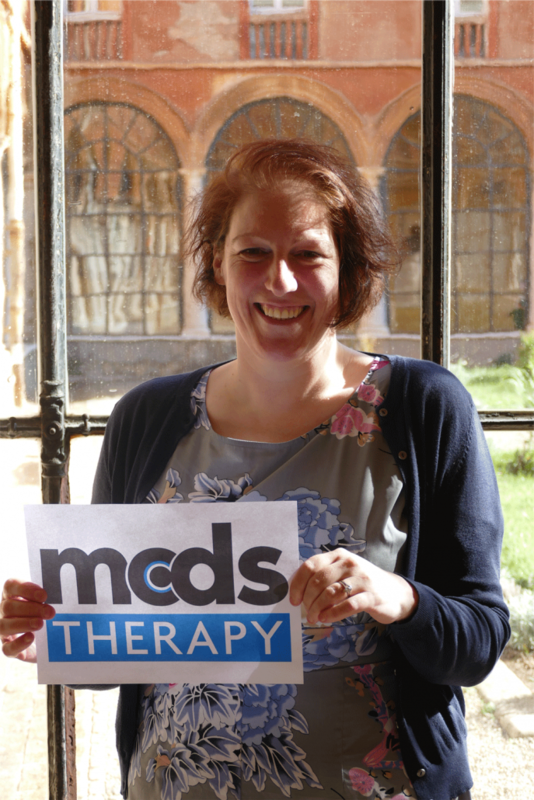 Connecting with other organisations The MCDS-Therapy clinical trial is now open!